The past month has been such a blur. I've been busy taking care of my baby boy, Dylan, and getting acclimated to my schedule as a new mom. I didn't get as much reading done in August as I would have liked, but once we got Dylan on a schedule, I found more time to read! 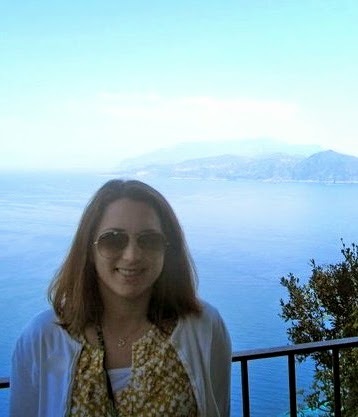 I also was able to get away to the beach twice in September, which was much needed and a very nice break. I am SO looking forward to October, the cooler temperatures and of course being reunited with all things pumpkin. I can't wait! I see many pumpkin spice lattes in my future and perhaps a pumpkin beer or two! 1. Favorite Book: Embrace by Jessica Shirvington- I loved this book and I can't wait to continue this paranormal series. I'm such a sucker for a good paranormal romance/fantasy. 2. Biggest Surprise: Firelight was surprisingly good. I waited so long to read it, because I didn't think I'd like a book about dragons, but I was wrong - it wowed me! 3. Biggest Letdown: Juliet Immortal was a bit disappointing. It wasn't for me; I'll stick with the classic. 4. 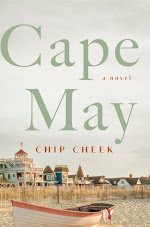 Favorite post: Books on the Big Screen - There are so many good books being made into movies! 5. Favorite part of August/September: As I said, I went to the beach for a long weekend and it was wonderful to get away for a bit. It was filled with relaxing beach walks and reading some good books. I loved taking Dylan for a walk on the boardwalk! 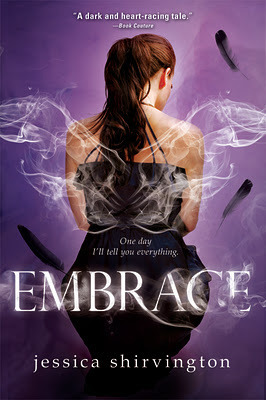 I really need to read Embrace. I've had a copy for ages, but the not so pretty UK cover means it's fallen down my TBR pile. I love the US covers! Thanks, Leanna! I think you'll like Embrace. I hope you get around to it soon! I'm so impressed by how much you DID manage to read in these two months. Well done, you! Oooo I love Firelight and am glad you finally got to read it. What an adorable picture of you and Dylan. Thanks, April! I can't wait to read Vanish next! Oh yay! I'm so glad you enjoyed Embrace as well Christina! That one surprised me with how much I loved it given I struggled with Violet a bit in the first book. I can't wait for book 3 now to see how everything plays out with Lincoln and Phoenix! I will be reading book two soon....can't wait to see what happens! Baby schedules take time and change. I can't wait for the cooler temps either. You have me craving a pumpkin ale. And seriously, how adorable are you two!? Such a cute picture of you and Dylan! Thanks, Lea! I'll be reviewing it this week. Thanks for stopping by!